At Topfloor we offer great design, top notch service and a truly bespoke approach. This is just as true for our wood flooring as it is for our rugs and carpets. With well over 100 different wood flooring finishes, plus our bespoke options, we’re confident we can provide the most demanding client with exactly what they’re looking for. Be it a large scale commercial or a high end residential project, we can usually come up with the goods. We can vary dimensions, colour, texture and format. We can supply most of our finishes as boards (up to 45 cm wide and 7 metres long), as parquet blocks or designer panels and more. 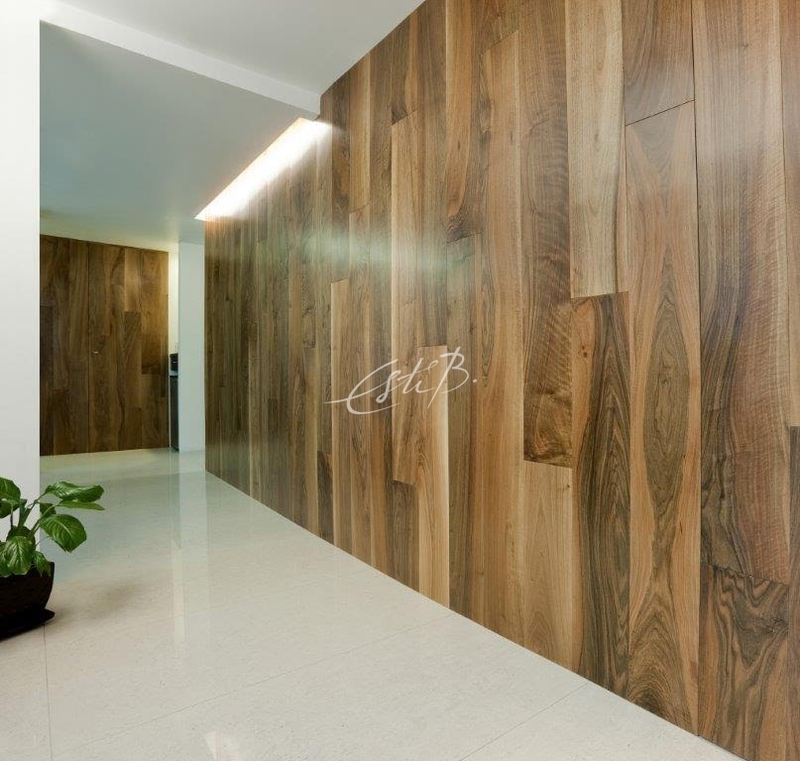 We can even supply matching veneer for use on wall panels or in cabinet making. 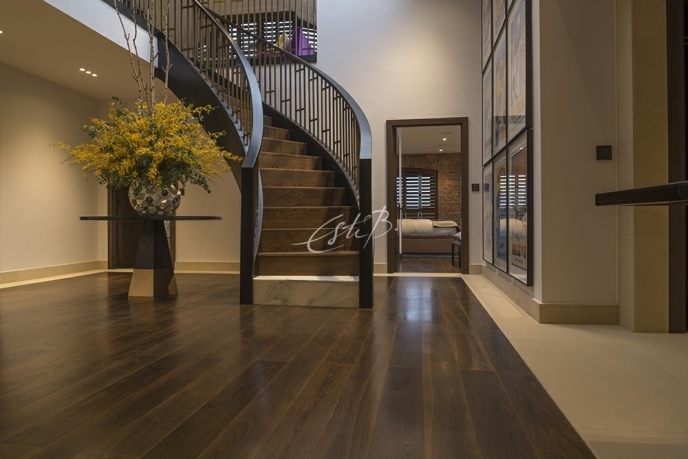 We specialise in premium quality engineered wood flooring, as opposed to solid wood flooring. The difference between the two is a matter of design flexibility and functionality. Solid wood flooring can cause problems because of its sensitivity to changes in temperature and humidity. This can lead to deformation such as gaps appearing between the boards or cupping when the boards try to expand sideways. Our premium engineered wood flooring is much more resistant and is perfectly suited for use with underfloor heating due to its durable multi-layered cross-ply construction. Solid wood flooring often requires on-site finishing, whereas our floors are made to order in Europe and are fully finished and ready to install on delivery. We like to know exactly where our timber comes from which is why all our floors are made using timber that is FSC (Forest Stewardship Council) and/or PEFC (Pan European Forest Certification) certified. 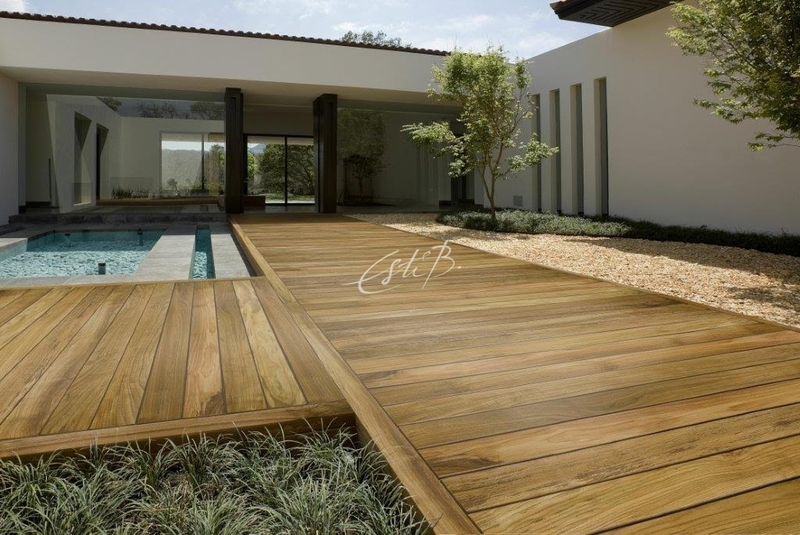 We want our clients to be reassured that when they buy from us, they are contributing to the environment by buying sustainably harvested timber. We also insist that all the components – be it stains, oils, varnishes or adhesives – comply with European and US performance standards and are entirely non-toxic. Our service doesn’t stop when the boards are delivered. Due to the premium quality of our floors, we require that they are installed by fully qualified and highly experienced professionals. That is why we always offer our own fitting service, to get the very best result. We are proud to have supplied wood flooring to some of the world’s most prestigious residential, hospitality and commercial projects. Retail clients include Dior, Kurt Geiger, Anoushka Jewellery and Gina Shoes. 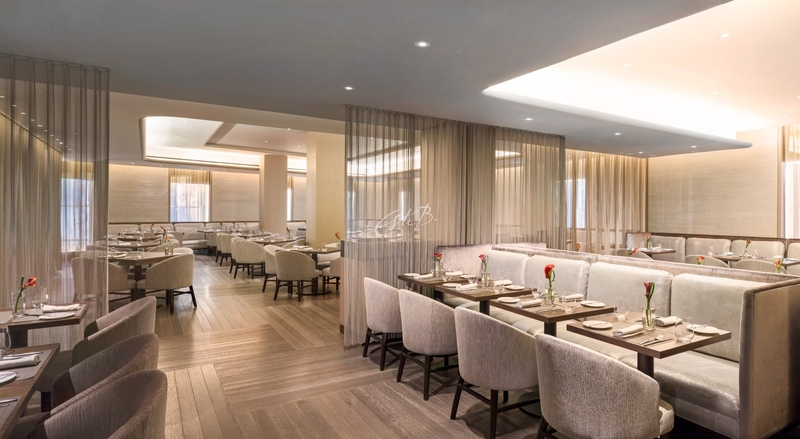 Our premium grade dark smoked oak was used extensively throughout London’s first uber-luxe One Hyde Park development. Renowned interior designer Kelly Hoppen also chose our ‘Black Oyster’ for a 2000 m2 luxury penthouse in the Middle East. After ordering the floor, the client asked if we could provide the same finish for the internal joinery and wall panels. In order to meet the request, we developed a special oak veneer which was flexible enough for the job as well as strong enough to hold the textured finish of ‘Black Oyster’. Finally, to ensure a superb job, our fitters were on site throughout to supervise the installation.